By clicking the continue button above, I certify I have read the CME information below. Use of a multidisciplinary team approach to the diagnosis and care of patients with idiopathic pulmonary fibrosis (IPF) has been shown to improve treatment and outcomes. However, patients with IPF continue to suffer unacceptable delays in diagnosis and initiation of optimal treatments. High-resolution computed tomography (HRCT) is recommended for all patients suspected to have idiopathic interstitial pneumonias (IIPs), as it can allow for a confident determination of disease without an invasive, and often risky, lung biopsy. Radiologists are essential for early diagnosis of IPF and improved patient outcomes since clinicians rely on their accurate interpretation of HRCT scans. Thus, it is imperative that radiologists become familiar with the distinguishing features of IPF in an HRCT scan and are able to differentiate IPF from other lung conditions. Jonathan H. Chung, MD has an expertise in interstitial lung disease, occupational lung disease, nontuberculous mycobacterial pneumonia, and diseases of the large and small airways. Through his research, Dr. Chung is studying how imaging can play a more significant role in patients with chronic lung diseases, specifically interstitial lung disease, pulmonary fibrosis, occupational lung disease, and nontuberculous mycobacterial pneumonia. Dr. Chung is also studying the use of pulmonary MRIs to detect and follow lung diseases. He has authored more than 90 peer‐reviewed articles that have been published in scientific journals and co‐authored 5 book chapters and 3 books that focus on chest diagnostics. 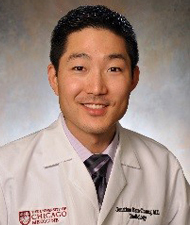 In addition to his clinical work and research efforts, Dr. Chung also dedicates himself to educating medical students, residents, and fellows, performing numerous one‐on‐one teaching sessions and mentoring younger physicians. His devotion to education has been recognized several times, including when he received the Radiological Society of North America Honored Educator Award in 2013. 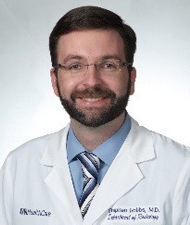 Stephen Hobbs, MD serves as a cardiothoracic radiologist in the Department of Radiology at the University of Kentucky. He has lectured at the national and international level on thoracic imaging topics ranging from thoracic surgery complications to diffuse pulmonary nodule patterns. Dr. Hobbs has particular interests in interstitial lung disease and resident education. He serves as the Co‐editor of the recently released Thoracic Imaging: A Core Review. In addition, he serves as the Imaging Informatics Medical Director for both the Department of Radiology and the entire UK HealthCare enterprise. He completed radiology residency at the University of Kentucky and subspecialty fellowship training in cardiothoracic radiology at the University of Colorado and National Jewish Health in Denver, CO. This activity is intended for radiologists involved in the diagnosis of lung diseases. This program is designed to address the following IOM competencies: provide patient-centered care and employ evidence-based practice. The Potomac Center for Medical Education designates this live activity for a maximum of 0.75 AMA PRA Category 1 CreditTM. Physicians should claim only the credit commensurate with the extent of their participation in the activity. The Potomac Center for Medical Education (PCME) adheres to the policies and guidelines, including the Standards for Commercial Support, set forth to providers by the Accreditation Council for Continuing Medical Education (ACCME) and all other professional organizations, as applicable, stating those activities where continuing education credits are awarded must be balanced, independent, objective, and scientifically rigorous. All persons in a position to control the content of a continuing medical education program provided by PCME are required to disclose any relevant financial relationships with any commercial interest to PCME as well as to learners. All conflicts of interest are identified and resolved by PCME in accordance with the Standards for Commercial Support in advance of delivery of the activity to learners. Disclosures will be made known to the participants prior to the activity. There is no fee for this activity. To receive credit, participants must take the pre-test, view this CME activity in its entirety, and then complete the post-test, with a score of 70% or better, and evaluation. The estimated time for completion of this activity is 1 hour. To receive their certificates, participants must demonstrate mastery of the presented material via the post-test. Participant is allowed to take the post-test multiple times.